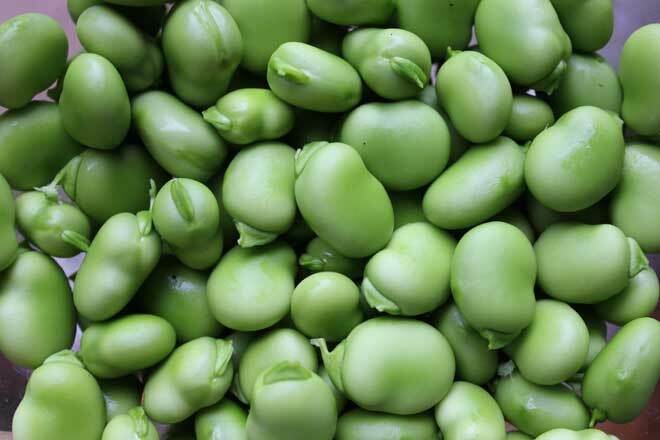 This broad bean recipe is such a good example of how great garden fresh ingredients shine with very simple treatments - you really appreciate how delicious those little beans are. Shell the beans and prepare all the other ingredients Blanch the beans in lightly salted water for approx. 3 minutes. Quickly pop them out of their grey skins and into a bowl. In a fry pan gently melt the butter and add the olives and beans and lemon juice. Season and add the feta and mint.